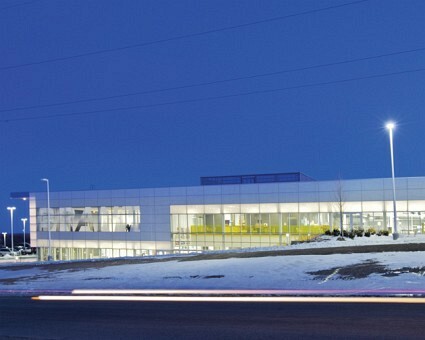 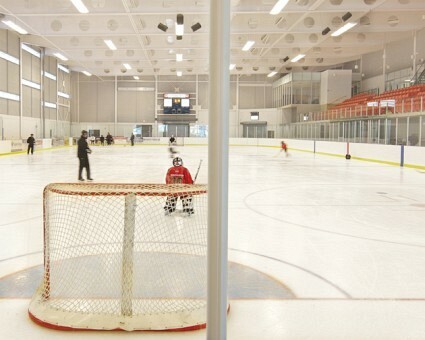 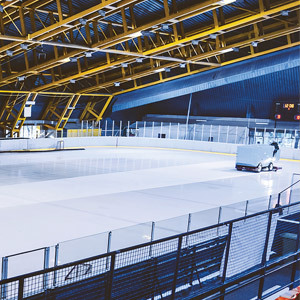 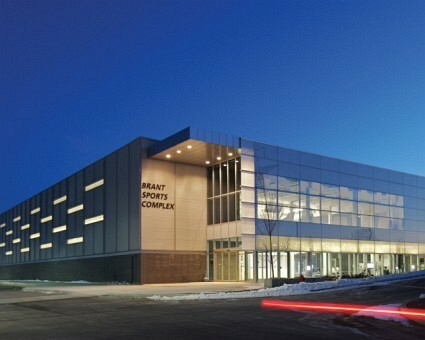 The Brant Sports Complex offers two NHL-size ice surfaces with 700 spectator seats, concessions, a pro shop, a suite of public meeting rooms for up to 500 people and a large two-story interconnected lobby for warm viewing and special events. 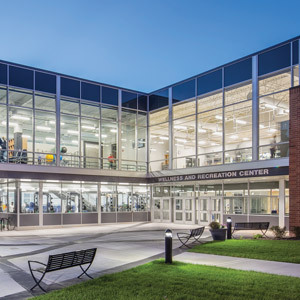 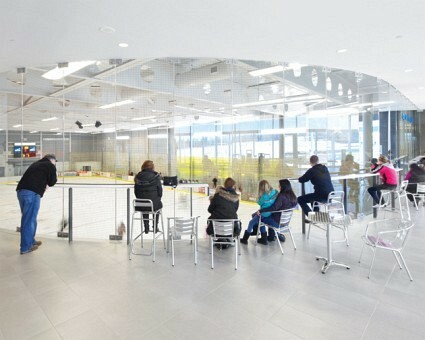 This glazed gallery runs the entire length of the building's north facade, allows players and spectators to enter at different levels at either end and provides panoramic views into both rinks. 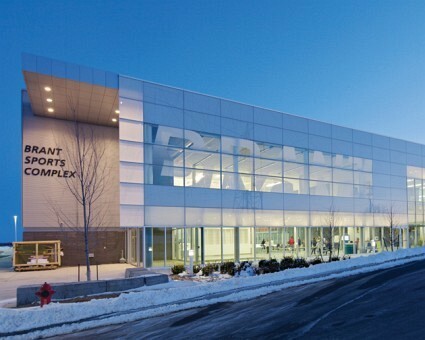 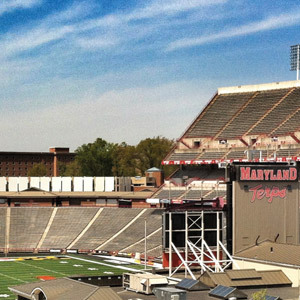 From the exterior, it creates an architectural billboard that broadcasts activity to the surrounding community. 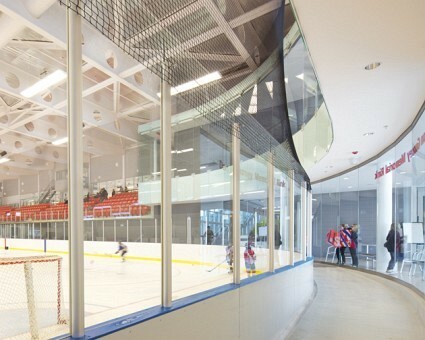 An innovative integration of fritted glass graphics confidently celebrates civic pride and alludes to the beauty and excitement of ice skating and hockey. 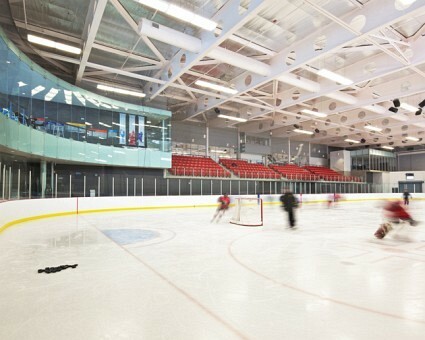 The building is made all the more dramatic by its sloping site, as it seems to gain a horizontal dynamic from the relationship of the glazed plane and the rising terrain. 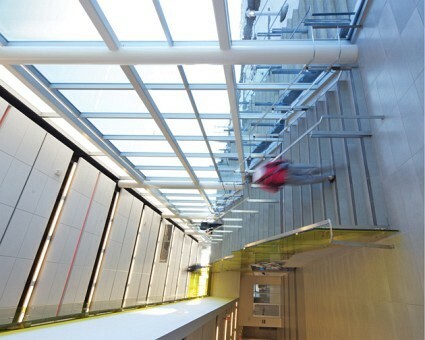 Public spaces are cleanly detailed with simple graphic materials selection. 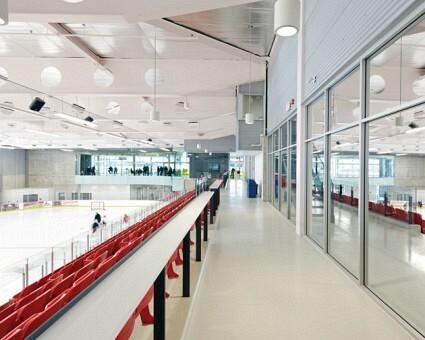 During the day, these spaces are washed with natural light that permeates the rink areas, for an effect atypical of Canadian arenas. 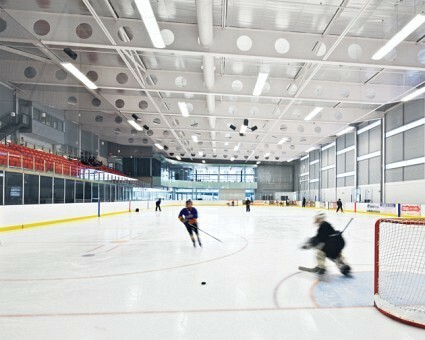 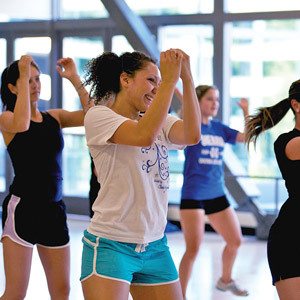 In addition, multipurpose spaces allow the public to participate in facility programming with the arena as an exciting backdrop.